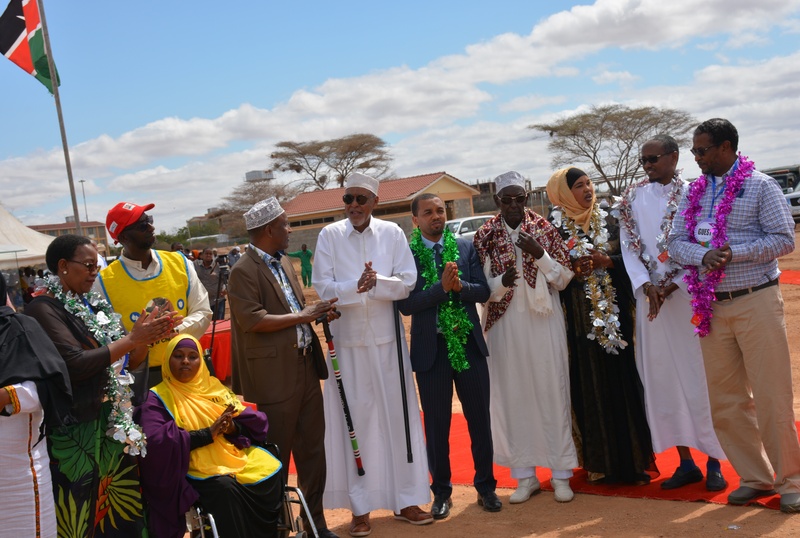 The global polio eradication initiative got new impetus recently as four countries from the Horn of Africa Inter-governmental Authority on Development (IGAD) met in Garissa, Kenya, in a show of unity to end the spread of polio in the region. The event took place on September 15, 2018. Health ministers and representatives from Somalia, Ethiopia, Kenya, and South Sudan signed a communique under the auspices of Intergovernmental Authority on Development (IGAD), which further reinforced their support and future actions towards this goal. This historic event marked a high-level response to the outbreak of vaccine-derived poliovirus, in which Somalia detected twenty isolates of poliovirus in environmental surveillance samples and ten from human cases since October 2017. Kenya detected a polio virus in an environmental sample in March 2018. 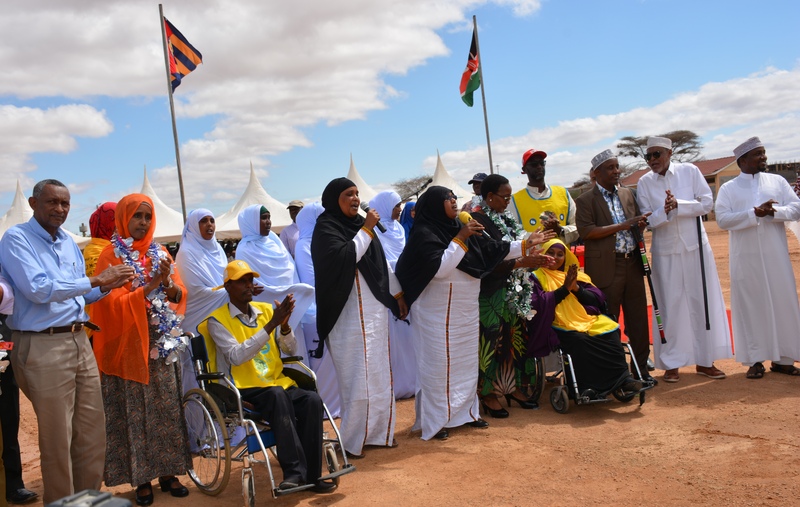 Speaking during the event, the Kenyan Health ministry official, Dr Rashid Aman reiterated that diseases know no borders and that countries in the region faced common public health challenges. These include weak health infrastructure, human conflict, porous borders and insecurity. Kenyan Health Cabinet Secretary, Hon Mrs Sicily Kariuki stated that countries within the Horn of Africa had experienced repeated polio outbreaks, mainly due to importations fueled by low nutritional levels, population immunity and displacement. “Massive movement across porous borders in the region presents one of the most significant challenges to stopping poliovirus transmission,” she said. Somalia’s Health Minister, Hon Fauziya Abikar Nur said her country faced key challenges including the difficulty in reaching children from mobile populations – nomads and Internally Displaced Persons (IDPs) – and access to compromised settlements in the South and Central areas, for both immunization and surveillance activities. 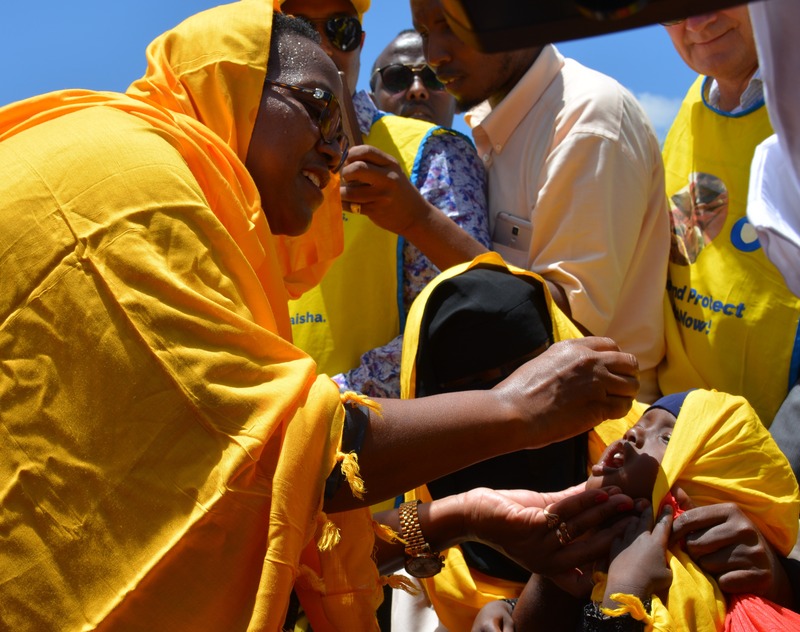 The region has responded aggressively with several synchronized rounds of joint cross-border polio immunization campaigns and escalated activities, including strengthened border watchfulness, awareness creation, and routine immunization. 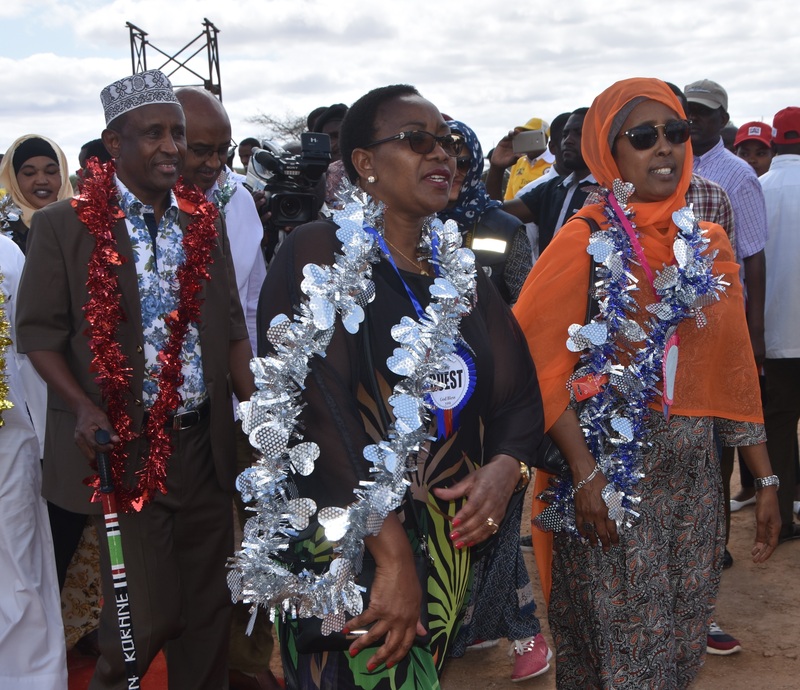 This joint campaign launch enhances coordination among planned campaigns across the borders in the coming weeks: including polio campaigns in September in Kenya, targeting 2.8 million children and Somalia which has scheduled a campaign for early October targeting 2.5 million under-five year olds. Ethiopia, will also be targeting around half a million under-five year olds. 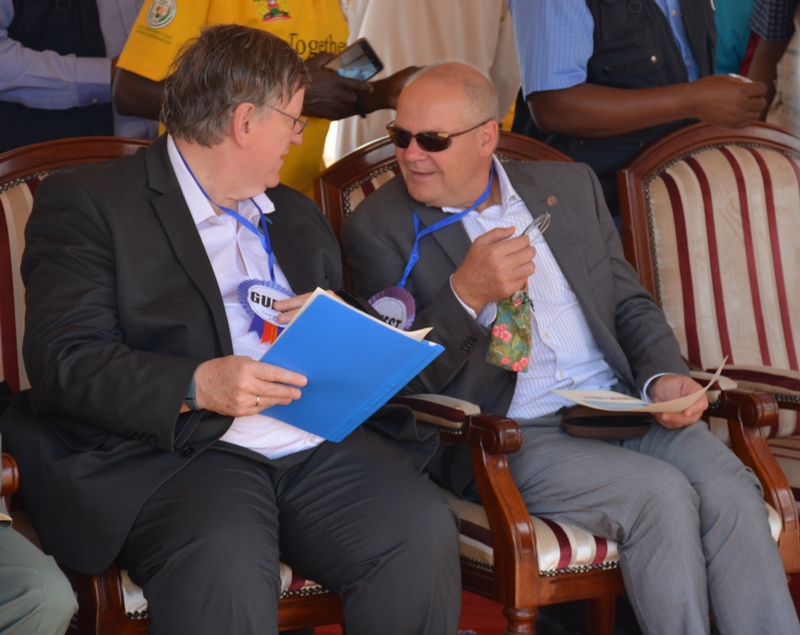 For further steps, WHO Kenya Representative Dr Rudi Eggers called for efforts to reach every last child with the polio vaccine during immunization campaigns and through routine immunization services. Speaking on behalf of the UN family, he urged all IGAD member states to strengthen intercountry and cross-border collaboration, and take steps to strengthen immunization and disease surveillance systems. Adequate and sustainable resources, high-level programme management, coordination, and monitoring would support these efforts, he added. 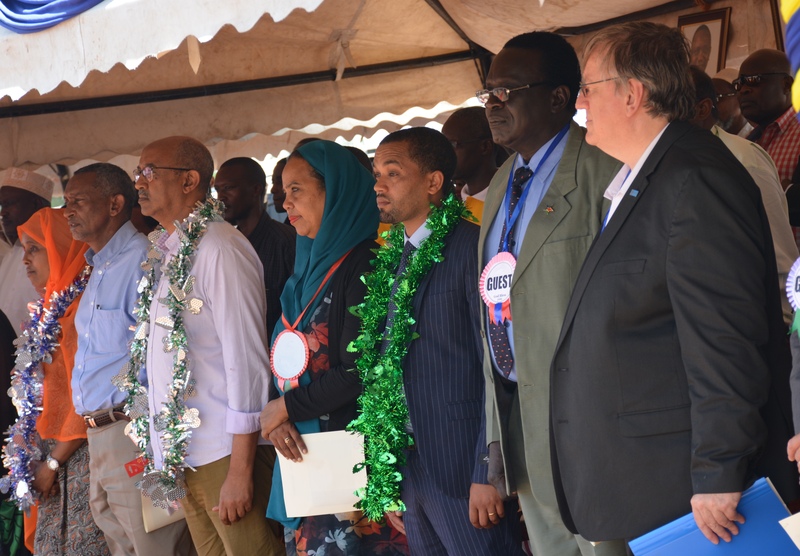 The meeting attended by the Garissa Governor, Honourable Ali Korane, IGAD Executive Secretary General, Ambassador Mahboub Maalim, UNICEF Representative, Kenya, Mr. Werner Schultink, other development partners (CORE Group, Red Cross, UNHCR) local politicians and national leaders. Those who spoke reiterated the need for the countries to collaborate and ensure polio did not spread any further. They also urged parents to ensure every child under five was vaccinated against polio. 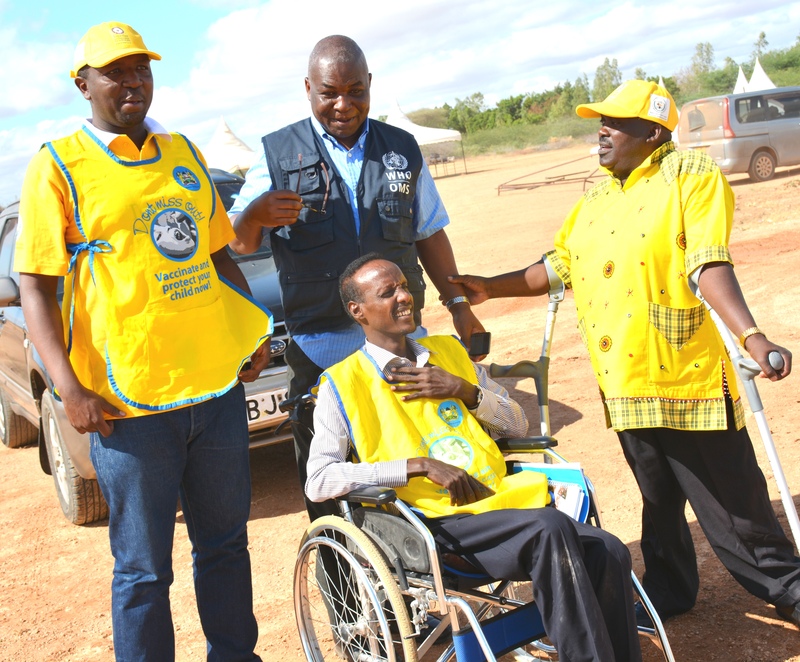 “You would rather have your child immunized 1,000 times than live for a lifetime with polio, like I have,” Kenyan immunization ambassador, Senator Harold Kipchumba said. He appealed to parents and communities to ensure that no child was ever let to go through the pain of living with the disease or die of it. 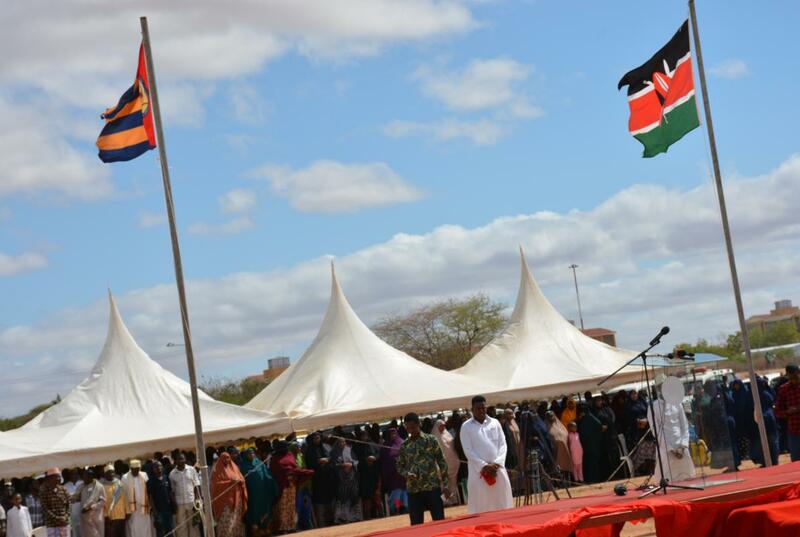 The high-level officials acknowledged the need to sustain their collaboration and urged parents to ensure children received adequate doses to drive polio out of the region.  Take collective responsibility to implement coordinated efforts; to intensify acute flaccid paralysis (AFP) surveillance and outbreak response; to prevent international spread; and to interrupt the outbreak as soon as possible. 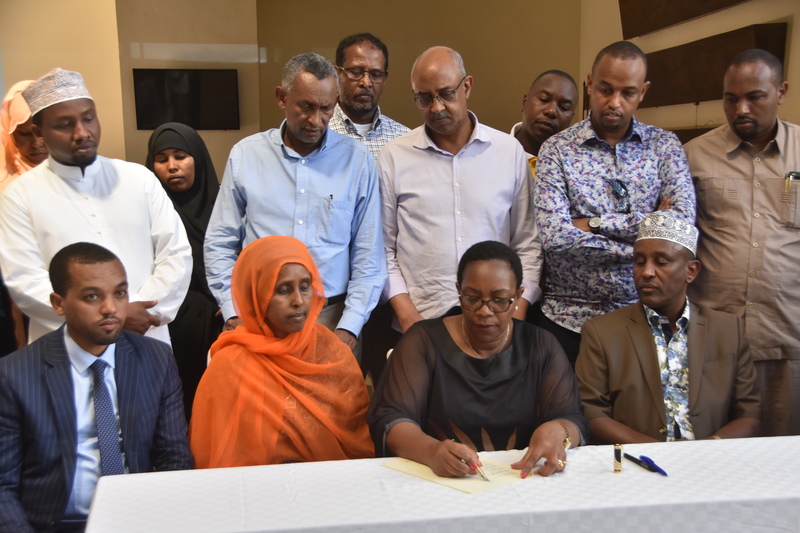  To extend all possible support, including political advocacy and engagement at all levels for successful coordination and implementation of a synchronized cross-border polio vaccination activities in the IGAD region.  To work in partnership with UN agencies, USAID, Core Group and other relevant partners.